Pacific Coast Healthcare Staffing's Corporate Compliance Department is committed to the highest standards of ethics and integrity. The intent of the Compliance Program is to provide guidance regarding compliance, ethics, and conduct to all employees and contractors of Pacific Coast Healthcare Staffing. Pacific Coast Healthcare Staffing has an ongoing commitment to ensuring that its affairs are conducted in accordance with applicable laws, standards, and sound ethical business practices. In order to maintain the highest health care standards we would encourage any individual that has a concern about the quality and safety of patient care provided by a Pacific Coast Healthcare Staffing employee to contact the local branch office and ask to speak to the office manager. 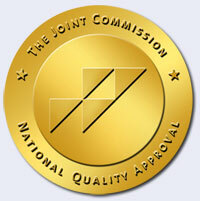 If you feel that our firm has not adequately addressed any concerns you may have please contact THE JOINT COMMISSION at www.jointcommission.org/.